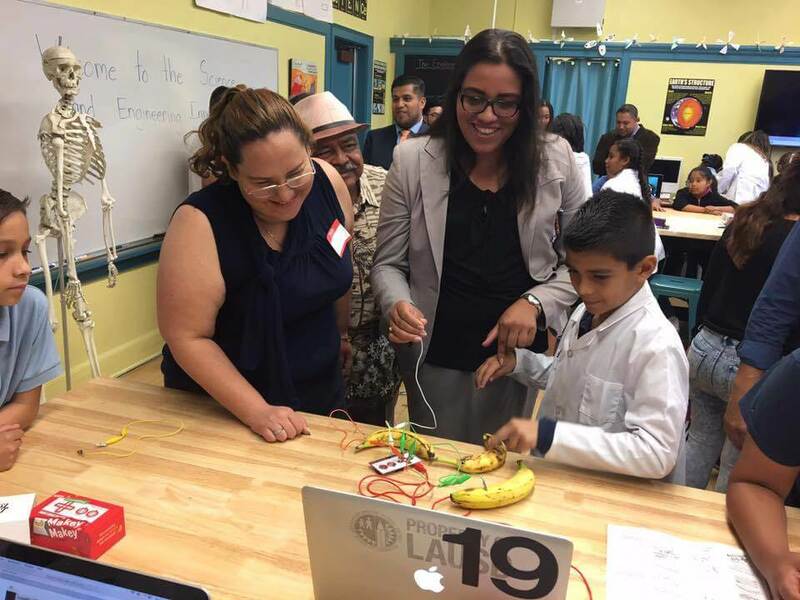 For Huntington Park Councilwoman Karina Macias, nothing beats your local community. 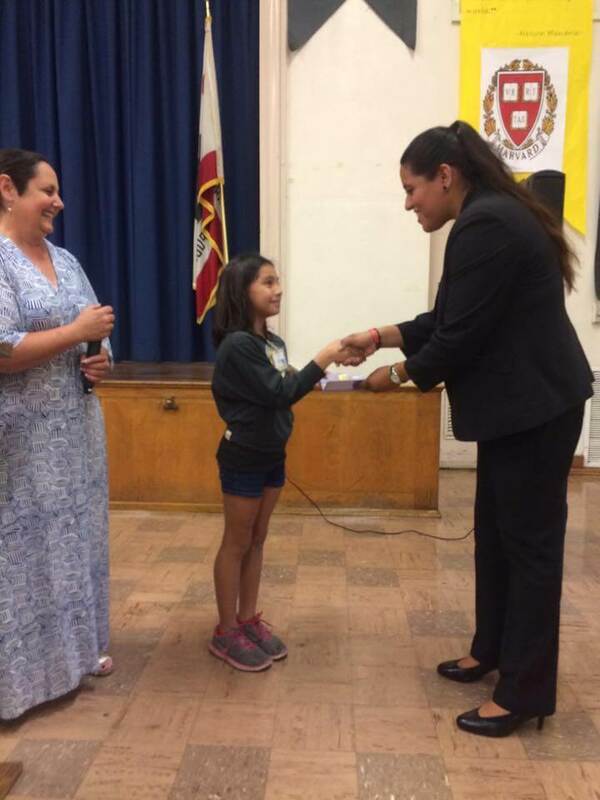 From a young age Macias learned about the importance of civic engagement. College served as a time when Macias expanded her knowledge about public service and understood its necessity in local communities. Macia’s most important lesson: Passion for public service comes from the heart. And that passion helped her get elected in her community’s City Council at 25, right after graduate school. Nowadays, Macias dedicates herself to understanding and serving her community, as well as encouraging young community members to get involved in politics. Q: At College Magazine we’re working together with EMILY’s List, Emerge America, Human Rights Campaign, Higher Heights, She Should Run, Victory Fund and IGNITE on an initiative to fight for equal representation in congress called “50 by 2050.” What are your thoughts on the goal of achieving 50% of women in Congress by 2050? A: I think it’s a wonderful campaign. You know, in the time that I’ve been on this journey, I’ve encountered women in different positions that have similar stories of obstacles and entering the male-dominated career. I mean, because politics is still pretty much male-dominated. So I think that it’s vital that we have these types of campaigns, where even if it’s not an elected office, there’s so many opportunities for people in the political arena, whether it be staff or opportunities that are just open. But I think it’s really, really important to have campaigns like this, so I’m really glad that you guys are doing this. Because there might be women who are interested in politics that probably don’t know where to start, or don’t know who out there has gone through that journey or who out there has the same obstacles. Q: At College Magazine, we’re the guide to the undergraduate experience. In what ways did your college experience at Mount St. Mary’s University prepare you for your experiences in public service? A: For me college was a vital point where, I didn’t necessarily decide I wanted to run for office, but where I got interested in politics. The university was founded by the Sisters at St. Joseph, and when I started there I started spending more time with them as well as with their activities. They’re big on the whole aspect of social justice and being there and providing a service to your neighbor. Put that together with the whole politics aspect of it over there, I think that I really grew to understand during my time in college to really focus on their perspective. You know, what is social justice and this world? Obviously, there’s so much going on. If you focus on it, there’s a lot of violence, there’s everything that can be negative out there. But there’s so many positives you can do, as far as within politics or anything as a career, but obviously I was focused on politics. But it really prepared me to give up myself in public service, because when you’re in public service, especially in the local level, you’re really giving up your time and you’re not compensated for it. You have to be okay with that, because at the end of the day, it is a public service. And you’re not here to make yourself rich, you’re not here to give yourself a big salary. It really is a service from the heart. And I really understood that, and came to understand that, during the time I was in college and really interacting with not only my professors, and not only understanding the realms of local and state politics, but also understanding that there’s a lot of heart that comes with it and that there’s a lot of need out there for that kind of public service. Q: Can you speak about your experience at the Public Sociology Conference when a grad student at Chapman University? A: It was an opportunity I never thought that I’d get in graduate school. My focus, when I was there, was international relations, but I was focusing a lot on Latin America. I had the opportunity to talk a little bit about my thesis, and I was invited at the time by the director of our program to participate in that conference and to talk about migration. Obviously, one of the biggest topics there was immigration, but also social issues. My thesis focused on the push factors of immigration. So, why do people migrate from a lot of these countries? Before I even provided this presentation, I had spent some time in Ciudad Juarez, and got a little bit of a perspective as to the War on Drugs, and obviously Juarez is known for violence. And for me, I wanted to be there, mainly to get more of an understanding of why people are migrating from their countries. For me, it was another aspect of getting involved in the political realm in the international side of it. Q: How did you decide you wanted to run for public office? What inspired you? A: It’s funny, I’ve always told people, because I’m always asked that question before, that I had no idea. I always thought that I was going to be with a nonprofit or working within the realm of politics, but never as somebody running for office. My first taste of local politics was during the first year I was in college. I had an internship with the Los Angeles mayor of the time. I was there only as an intern, and it was a learning experience. You kind of take it all in. I would read a lot of the letters that the mayor would get. So it was my first taste of how people interacted with the local government. And once I graduated from college and came back to the community, I started getting involved. Just you know, coming to the meetings and understanding where we were as a community. There were a few things that I didn’t like. So, slowly but surely I got involved in just coming to the meetings. The community asked me if I wanted to run. I didn’t know elections were coming. I was just getting involved in the community aspect of it, to really understanding where we were. Q: How did you get started and develop a platform on which you could build a campaign? A: My campaign was really grassroots. For me, it was the community. I told them that the only way I could run for this position was if they helped me out. Because at that time I was still working on my graduate degree and I was working part time and taking care of family. So it was really a tough one, time-wise. I really jumped in, kind of like a leap of faith to see what happened. Because at that time I was running against the incumbent who already had the time and the experience to run a campaign. I really had just one big supporter who really wanted to help me with my campaign and community members and young people came to volunteer. And I walked. That’s what I really tell other candidates. You really have to walk the community like me. You really need to talk to individuals one-on-one, you really need to get to know them. Be honest with them. And when I ran at the end of the day, what actually let me win the campaign, I was the top go getter. And even I was surprised. I think it was a testament of the community really coming together to volunteer for the campaign. The really important aspect of it is walking and making sure that you’re out there, because it’s not a national or state election. When you have a local election, you have that opportunity to talk to folks and understand them, where they are and what they want to see happen. And it’s not just understanding their politics, but really tell them that I’m there to serve them and I’m here to help. At the local level it’s just been quite the experience to have that one-on-one interaction. It’s a lot of work, a lot of hours. What I tell people is that my job is 24/7. I’ve had people call me at three or four in the morning and I answer. People don’t think that I’ll answer, but I do. That’s the kind of service that I really want to give from my heart. And that’s the kind of service that I’ve learned to give from the time I was in college. Q: What issues are you most passionate about in your community? A: Our community is working class, mostly Latino. I think we’re about 98 percent Latino. A majority of our community is working class, immigrants, some of them undocumented, those who aren’t usually counted but we make sure to count them in our community. A lot of them have been here for 20 years, and they use our cars and pick up their kids from local schools. Our biggest focus is bringing our service to as many of them as possible. We’re saving money as much as possible so we can spend more to help the community. One of the biggest things we’re pushing right now is economic development. Our community wants to see the stores that you always see in other cities and you want to be in competition with other cities. We want to make sure that we’re not only focused on the money aspect, but also making sure that we have grocery stores, that we reach out and have more healthy options for our community. Those things go hand-in-hand with economic development, but you also want to make sure that you provide opportunities for well-paying jobs for the community. We’re always catering to different kinds of populations. We try to incorporate as much as possible and make sure that we provide the resources that we can for everybody. A: It was really simple, because it was something that I was working on, that I wanted to have for the community since I came here. One of my biggest things is that I always want to get the youth involved in many of our activities. Mainly because that way they have much more of broader sense of community where they get to know the council members. They get to see themselves in the future, and they see council members as an option for them. And that was having the Youth Commission. And that really came through two years ago, where we have local youth from our local high schools and have them just be involved in local government. It was a little dream of mine to have it in place, you know not only for the youth of today, but for the youth of the future. For something to keep on going after I’m no longer in this position. The youth will continue to get involved. It’s a 10 member commission where not only do they interact with council members but with other youth commissions in other areas. They get together to do projects and it’s something they can put on their resumes. And so far it’s been really rewarding for me to see a lot of the youth get involved and just flourish in their own leadership skills. It provides them the opportunity to interact with other young folks that you don’t know. Q: Did you face any specific challenges as a Latina running for office? A: Not necessarily. 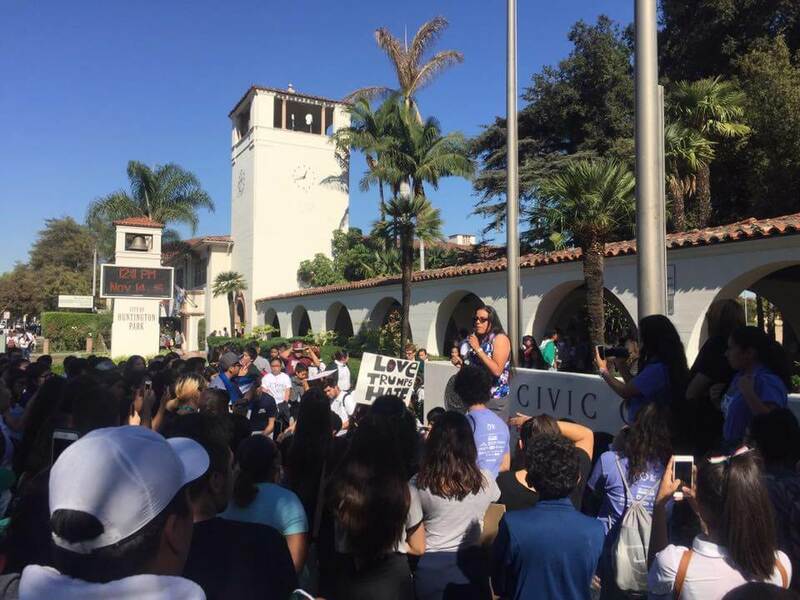 The community was pretty open to the idea of a Latina running for office. The community has changed over time. The community used to be majority white, but because of immigration, it’s become a majority Latino community. My challenge was more on the aspect of my age. When I first ran, I was 25. And a lot of individuals were concerned that I didn’t have the experience, or that I was too young. There was one person who even asked, “Do you even know what you’re getting yourself into?” And my response to those questions or comments was, “I understand your questions and concerns, but I have my degree, I may not know everything but the individuals who were in my position probably didn’t know everything either and then they started to learn. I have the full confidence that I can do well, and if I don’t you can always call me out on it.” If I make a mistake, I’m not going to run away from that mistake. So most of my obstacles were there when I first ran for office. As a woman, I think the other aspect of it was that when I’d come to meetings and you do face a little bit of sexism and little comments here and there. It’s something that you unfortunately always face. I think you have to go back to, “I know myself, I know what I am. At the end of the day, it doesn’t matter and it does matter.” At the end of the day, you think about what you’re there for. And you’re there to provide a service to the community. Q: Over the last few months in particular, we’ve seen more women running for office and getting involved in that process. How do you feel that will end up shaping the political sphere in this country? A: I think it’s wonderful. Like I said, we don’t have a lot of women in these powerful positions. You know, you’re always going to be making decisions that are going to affect the community. I think women have a different aspect as to how to tackle an issue. You know, we think more broadly. I think it’s going to change the way things are done, or what the priorities are in a budget. I think that just having women at the table and making these decisions, they’re participating and changing things. Our council is actually women majority, there are three women and two men. That alone has changed how we structure our priorities. You see more of a priority now on the parks and the youth, and how can we embed the schools in our activities. I think that once you involve women, and having more women in political office, I think it’s going to provide a lot of good for our society. “I always tell people, and they don’t believe me, that I’m a very shy, and still somewhat a little, but I’m a very shy personality and introvert. You know public office is a very public position and you’re always out there talking to people, and I never thought that I’d be in that position. Also, when at the university, there’s lots of student organizations and groups that are very welcoming. Things like that will help you slowly get out of your shell,” said Macias. “Don’t close the door on any opportunities. People who are maybe in a different major, or have a passion for politics. Even though you’re in the medical field you can still get into politics. Because even though you’re in a different field we still need different aspects of careers. Maybe you can see differently on issues, and a lot of these decisions lead to a good voice in policy,” said Macias. “Always look up to other people in your life. Lean on your mentors, and those mentors can lead you onto other mentors. Find other women. It’s important to have other women mentors,” said Macias.